Doug Elkins is looking for that weird moment, the uncomfortable that makes you think twice. “The screw up can be more interesting than the actual phrase,” Mr. Elkins said outside of the Yard theatre in Chilmark this week. On Thursday night at 8 p.m. Doug Elkins Choreography, etc. performs two original works created at the Yard, Mo(or)town/Redux and Hapless Bizarre. A special benefit performance will take place Saturday night at 6:30 p.m. These will be Mr. Elkins final performances of a three year residency at the Yard. Mr. Elkins time on the Island has been highlighted by his parody of the Sound of Music, Fraulein Maria. To sold out crowds, Mr. Elkins and his company set a new tone, marrying dance, theatre and comedy. This year it’s smart, sophisticated and funny vaudeville. In Mo(or)town/Redux, Mr. Elkins takes on modern choreographer Jose Limon’s Moor’s Pavane, a ballet based on Shakespeare’s Othello. In Limon’s arguably most famous work, death and jealousy are explored through the pavane, a traditional court dance. So he decided to merge the two ideas. As Mr. Elkins leaves, a new residency at the Yard begins. Camille A. Brown and Dancers have signed on to work with the Yard for the next three years. 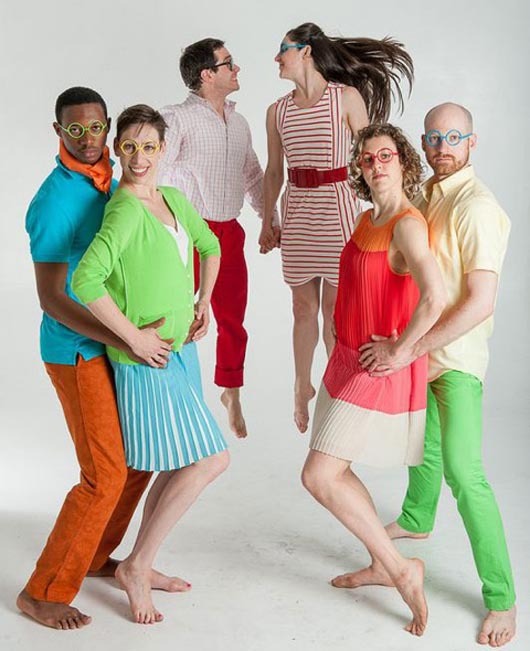 Tickets to the performance on Thursday night are $25 and available at dancetheyard.org. Tickets for the special benefit concert are $75. Call 508-645-9662.